Since 2012, Ceva has been proudly sponsoring the annual UK Animal Welfare Awards, which showcase, reward and celebrate the outstanding work that individuals and organisations do to improve animal welfare. 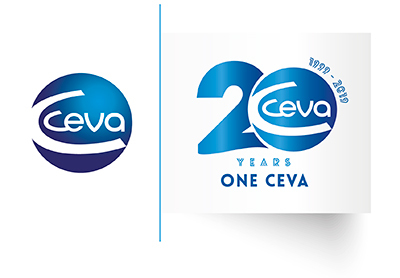 In 2017 Ceva took the awards global by co-founding global animal welfare awards with the world veterinary association. During the 34th World Veterinary Congress held in Barcelona, Spain, WVA took the opportunity to underline its commitment to promoting ever better global standards of animal welfare in the latest edition of its increasingly recognized Animal Welfare Awards. As the protection and welfare of animals becomes more and more a central societal issue, the WVA recognized and rewarded 5 veterinary champions working in different veterinary areas from horses and donkeys in Senegal, cats in China to sheep in Brazil. Each of them has typified how the role of veterinarians is critical to protect and improve the welfare of all animals. The 2 winners from Canada and Sweden equally exemplified the important societal role that veterinarians have in researching, advocating and educating politicians, public health authorities, media and the general public in implementing the highest animal welfare standards. The WVA applauds this partnership with Ceva Animal Health to recognize veterinarians from around the world for their efforts to improve animal welfare and eliminate animal suffering. Such recognition is not only important, it is necessary to bring continued awareness to the benefits of good animal welfare for animals, people and society. It is well recognized that good animal care can have far reaching and positive benefits in a number of areas, including human physical and psychological health, social development, poverty and hunger reduction, disaster management and environmental sustainability. Professor of Animal Welfare. Departamento de Medicina Veterinária Preventiva e Saúde Animal Faculdade de Medicina Veterinária e Zootecnia, Universidade de São Paulo. at the University of São Paulo. His team carries out research work on the impact of pre-natal and neonatal environment on welfare outcomes in different species. Their main goal is to develop protocols to improve resilience of the offspring. Adroaldo is advisor to the veterinary student’s animal welfare group, GEBEA. In addition to his research work the CECSBE currently has two major welfare projects. One centered around implementing a welfare assessment protocol to improve the health and productivity of sheep and the other is developing strategies to mitigate accidents involving stray donkeys and improve their welfare in the Northeast of Brazil. Alice’s particular areas of interest are animal abuse and effective veterinary response, pain management, welfare-friendly veterinary practice (large and small animal), feral cat welfare, and enactment of effective animal welfare legislation (nationally and provincially). For many years, she has been a valuable member of, and contributor to, the Canadian Veterinary Medical Association (CVMA) Animal Welfare Committee. Dr. Yin recently took the lead in organizing training in a remote area of China called Qinghai. Professor Berg works at the Department of Animal Environment and Health, Faculty of Veterinary Medicine and Animal Sciences, Swedish University of Agricultural Sciences, Sweden. She holds a Diplomate certificate from the European College of Animal Welfare and Behavioral Medicine and has been a member of the Animal Health and Animal Welfare (AHAW) panel at the European Food Safety Authority (EFSA), Parma, participating in numerous European projects. Charlotte’s main research and work areas are housing, management, biosecurity and the welfare of farm animals, with special emphasis on the welfare during slaughter. She carries out research on animal welfare legislation and standards control, and is interested in the interface between wildlife and farmed animals, including welfare and zoonotic diseases (One Health). Mactar leads a team that trains veterinarians in Senegal and Burkina Faso to improve their knowledge and skills in equine medicine. He also trains farriers and helps them redesign tools to ensure that the physical integrity of working equine animal is not hampered. At the international level, Mactar currently leads the International Coalition for Working Equids (ICWE), which bring together Brooke, SPANA, World Horse Welfare and the Donkey Sanctuary) whose major objective is to help OIE implement their global standards for working equids in developing countries. The WVA and Ceva Santé Animale recently launched the 3rd WVA AW Awards that will be presented during the 2019 WVAC in Costa Rica. Join us in April 2109 for the new WVA Awards in Costa Rica! Ceva Santé Animale (Ceva) and the World Veterinary Association (WVA) are collaborating with the IVSA as they continue their commitment to promote ever better international standards of animal welfare by organizing the Global Animal Welfare Awards in 2019.